While dry eyes is not life-threatening, it can be an annoying and painful condition. Its general cause has to do with a reduction in tear production by your eyes, but this can be spurred on by multiple factors. Here’s a look at some of the most common reasons that a person may experience dry eyes. 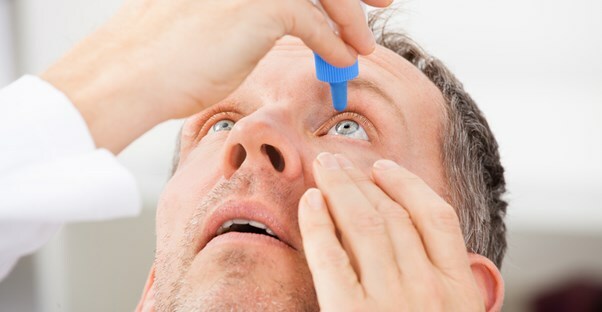 Tear production tends to naturally decrease as we get older, and most people over the age of 50 have experienced at least a few bouts of dry eyes. This is especially a problem for women who have reached menopause, because hormonal changes may make this natural decline even worse. There are several types of medication that may cause dry eyes. Some of the most common offenders include those that treat depression, high blood pressure, stomach ulcers, and Parkinson’s disease. People who have naturally drier eyes are more likely to experience this side effect with medication, but it can even affect people with no history of the condition. Dry eyes is frequently caused by some sort of irritant in a person’s environment. People living in dry climates or at a high altitude may experience this problem more than others living in humid, low-lying areas, but even something as simple as dust or wind may trigger the condition as well. Some people may experience dry eyes when wearing contacts. This typically occurs when a person begins using them for the first time or switches to a new brand. If the problem is persistent, he or she may find it necessary to switch to glasses. Dry eyes are a common complaint among people who have recently undergone some forms of laser eye surgery. Thankfully, the condition isn’t permanent and usually clears up within a few weeks to a few months.